Since its foundation in 2003, Innis & Gunn has grown to be the No.2 craft brewer in the UK off-trade and has become one of the UK’s most successful International craft beer businesses, becoming the No.1 imported craft beer in Canada and No.2 in Sweden. 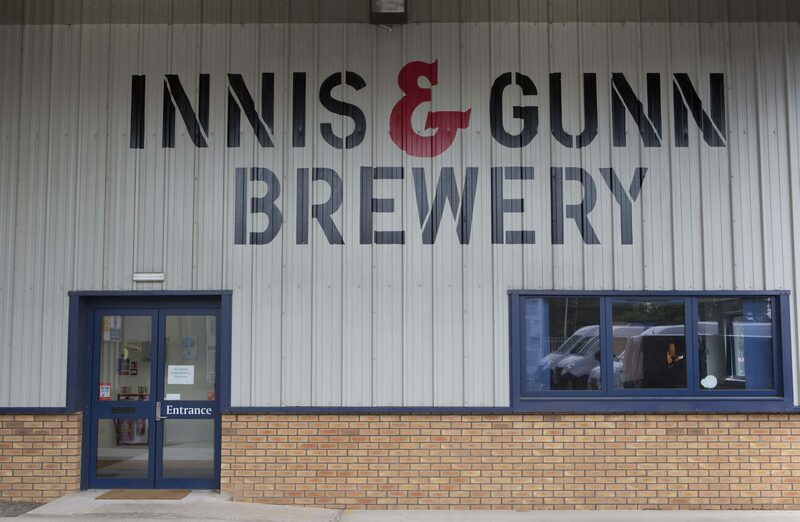 In the past two years, Innis & Gunn has successfully opened four Beer Kitchens in Scotland and acquired the Inveralmond Brewery in Perth, establishing the brewer’s home for barrel-ageing and innovation, now known as the Innis & Gunn Brewery. The brewery in Perth is where Master Brewer Dougal Gunn Sharp and his team of highly skilled and passionate brewers develop the flavoursome beers that are loved by craft beer fans in over 28 countries and continue to brew Inveralmond Brewery’s award winning range of beers. In 2016, Innis & Gunn sold more than 27 million bottles of beer around the world including Original, its flagship beer, Innis & Gunn Craft Lager, which is the fastest growing Lager in Scotland, recently launched American and Sessions IPAs, and a successful limited-edition programme of barrel-aged beers. The brewer also recently reported a 22% increase in its annual group turnover to more than £14.3million in 2016. This was the 13th consecutive year of volume growth, with volume over the past five years increasing by 175% including sales of the Inveralmond Brewery brands, which were successfully integrated into the Innis & Gunn business last year. In September of this year, Innis & Gunn accepted an offer of investment in the business from L Catterton, the largest consumer-focussed private equity firm in the world. This investment has given L Catterton a minority stake of 27.9%, with Dougal Gunn Sharp remaining at the helm of the business as the largest single shareholder and Master Brewer. The capital and unparalleled expertise in building consumer goods brands that L Catterton bring to the business will accelerate the growth of Innis & Gunn, which aims to double its turnover by 2018. Dougal Gunn Sharp, Innis & Gunn founder and master brewer said: “The craft beer category is booming globally, and this is an exciting opportunity for us to build on the solid foundations that have been laid to grow our business, which includes trebling capacity at our brewery in Perth and expansion of The Beer Kitchens.